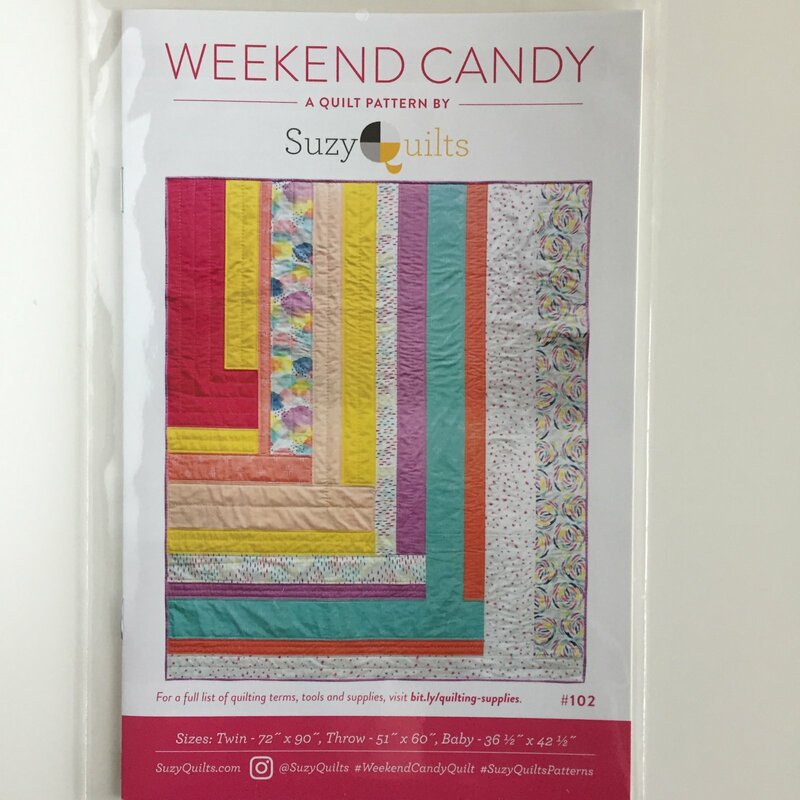 Weekend Candy Quilt Pattern by Suzy Williams of SuzyQuilts is a sweet treat you can make in a weekend. 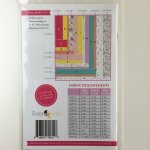 All of Suzy's patterns are beautifully illustrated with clear and concise instructions. The Weekend Candy pattern includes a page to color your own. Three sizes included - Twin, Throw, and Baby. Finished Size: Twin-72"x 90", Throw-51"x 60", Baby-36 1/2" x 42 1/2"
Fabric Requirements: See 2nd image for fabric requirements for each size.